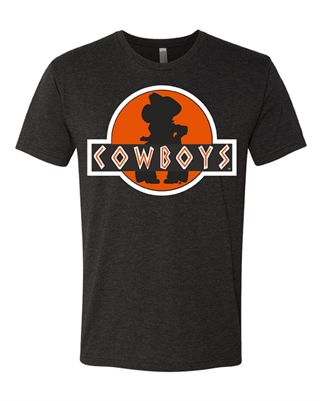 This Chris' EXCLUSIVE screen printed design features Pistol Pete in a ferocious pose with COWBOYS below! Get 'em, Pete! This shirt is a tri-blend for a soft feel.